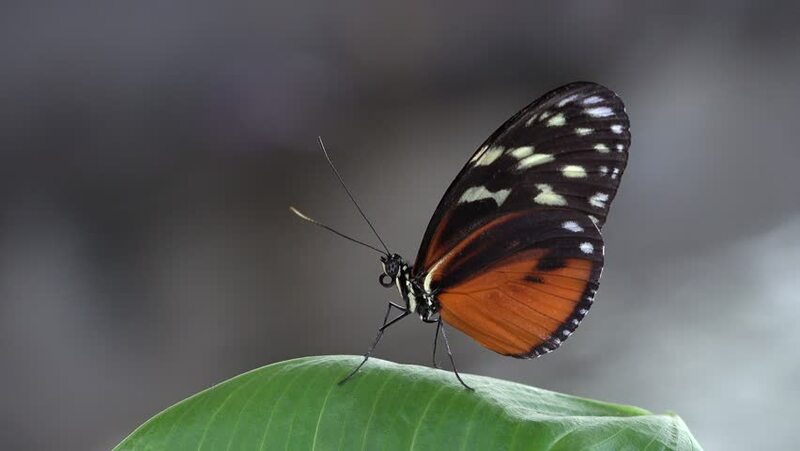 hd00:27Orange and black dottet tropical butterfly flapping its wings slow motion. Tropical butterfly flapping its spectacular wings in slow motion in the Caribbean Sea. Exuberant tropical animal species. hd00:12Beijing, China - December 2008: Close up of butterfly on a leaf opening and closing it's wings. Beijing Botanical Gardens, China.